Made of high quality plastic material. With bewathability hole to ensure good ventilation. 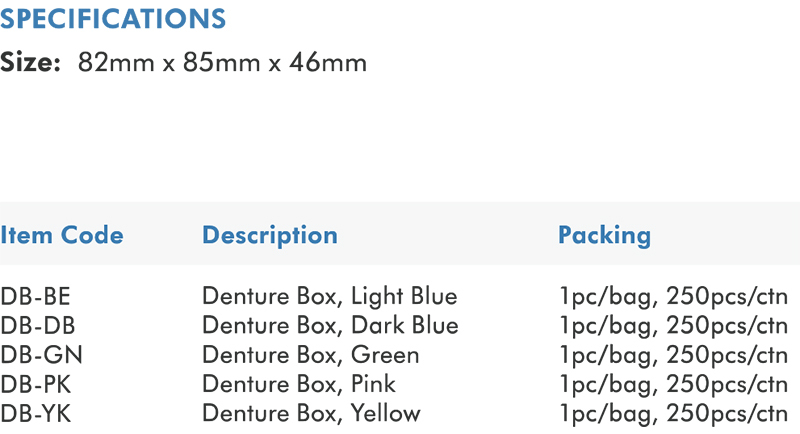 Fits upper and lower denture together. Compact design, easy to carry when travelling around.